Comfort Keepers well visits will ease your mind that your loved one is being cared for and getting the socialization they need! Are you unable to visit and spend as much time as you’d like with a loved one? Are you worried they are not socializing as much as they should be? Or are you leaving town for a period of time and need someone to check in on a loved one? If these are some of your concerns, no need to worry. 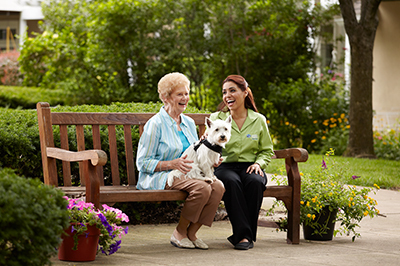 Comfort Keepers of Robbinsville, NJ is offering well visits to give your loved one the socialization they need and the peace of mind you deserve. Well visits are aimed to provide your loved one with a friendly face or familiar voice to interact with throughout the week if you are not able to make enough time to. Well visits offer your loved one (1) in-home visit a week, as well as two (2) weekly phone calls. Comfort Keepers will simply check in and provide companionship to your loved one. Each in-home visit lasts 60 minutes. During that time, the Comfort Keepers caregiver will offer help with any light housekeeping tasks or be there for just friendly conversation. The weekly in-home visits will provide a familiar face for your loved one to look forward to seeing again soon. Along with a friendly face, the twice-weekly phone calls will give your loved one a familiar voice to socialize with about anything they’d like. The caregiver will call and check in on their well- being, while also providing companionship. These in-home visits and weekly phone calls will give your loved one something to look forward to when you are unable to make time. Why are well visits right for my loved one and me? As much as we would love to visit our loved ones every day and spend as much time as we could with them, life sometimes deters that from happening. Whether they live far away, you will be out of town for a period of time, or can’t make it there every day, well visits will fill that void in your loved one's life. Not being able to give the people you care for enough time and attention could cause stress or even guilt in your life. Well visits will ease your mind from worrying if your loved one is socializing enough or if they are in a state of well being. Just knowing a caregiver will be checking in on them both in person and over the phone weekly would reassure you that they are cared for. What happens after a well visit? After each well visit, whether that be in person or over the phone, your caregiver will communicate with your family. Using the Comfort Keepers Family Connect program, your caregiver will give you updates about your loved one. This way, it feels like you were part of the visit or phone call, even if you were not. During the in-home visits, your caregiver will also communicate with you about what days and times will work the best for the weekly schedule. This way, if you are planning your own visit or call, the caregiver will not interfere. How can I set up well visits? Comfort Keepers keeps it simple for you! Contact us today at (609) 890-2888 to schedule your FREE in-home visit with a Client Care Manager. At just $50 a week, your loved one could benefit from a friendly face and new companion. The peace of mind you would in turn receive is priceless!